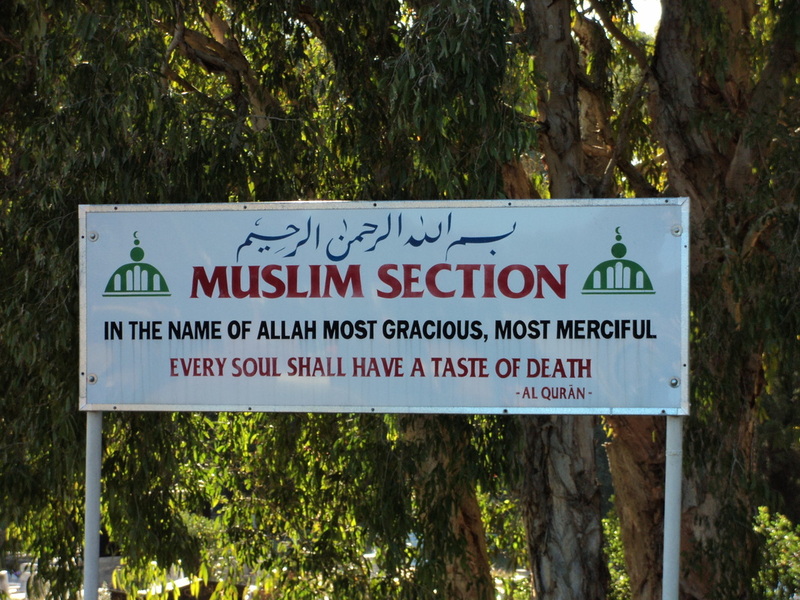 There are only four cemeteries in South East Queensland with with a designated Muslim section in the cemetery . 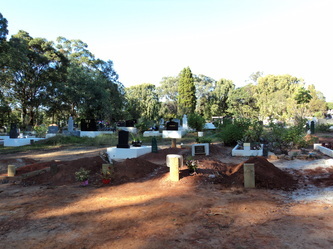 In Brisbane this is at the Mt Gravatt Cemetery, whilst on the Gold Coast Coast, it is at the Southport Cemetery, (which is now full), Coomera Cemetery and the fourth is in Toowoomba. 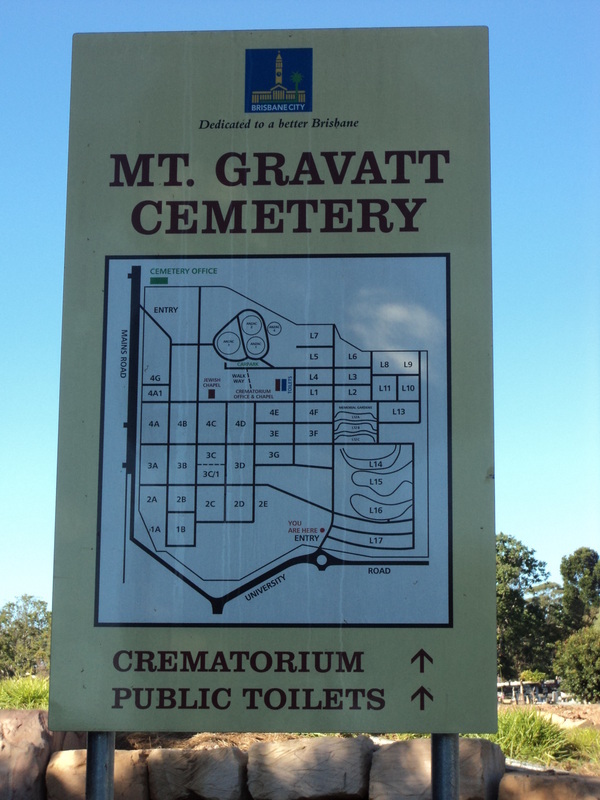 ​Please note all burials at Mt Gravatt take place in the new section from August 2016. ​Best access from University side of cemetery. The grave design inside varies in different countries around the world, and also varies within the same country in its different cemeteries, depending on the soil type in that locality. 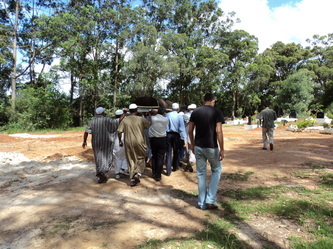 There is no requirement Islamically to have any tomb, block or timber structure within the grave. The only requirement is to avoid direct contact of the sand with the top of the janaza at the time of burial and that the body be buried directly on the ground (sand). 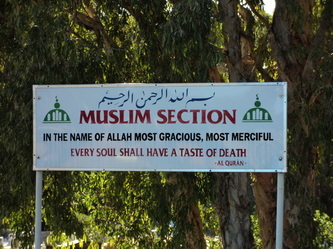 The sunnah method is Al-Lahad and is still used in some countries. 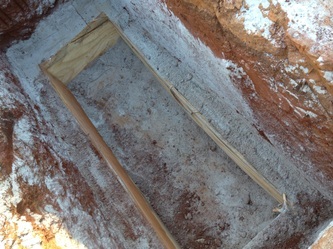 Below is a diagram of the different internal layouts. 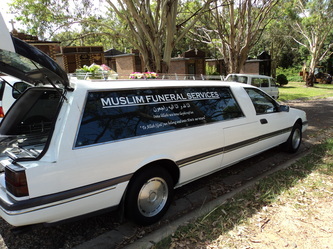 MFS uses the forth example. This system is intended to be simple and practical and has been local council approved. 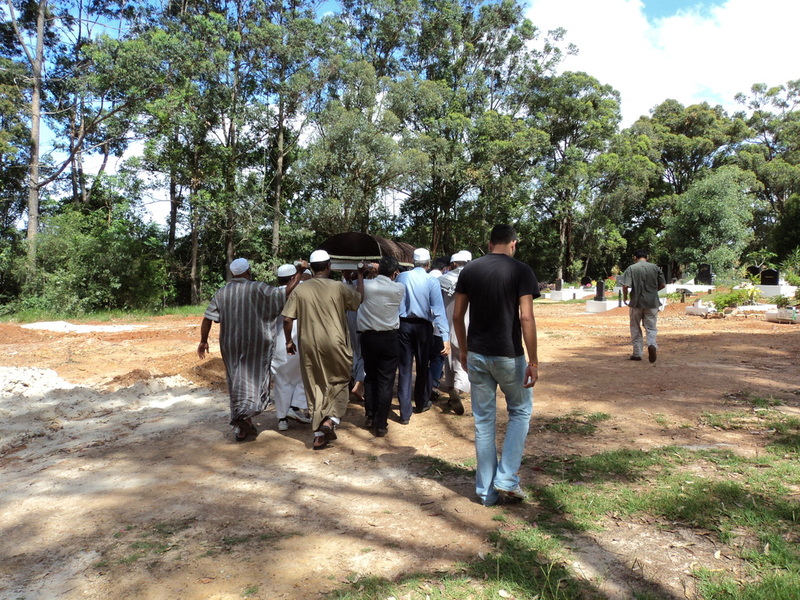 We have had discussions with several Imams, including a meeting with the Council of Imams Queensland, and have their full approval for the system we utilise. Below is a letter confirming this, with Imam Yusuf Peer, Imam Uzair Akbar and Imam Akram Buksh being signatories to the letter. 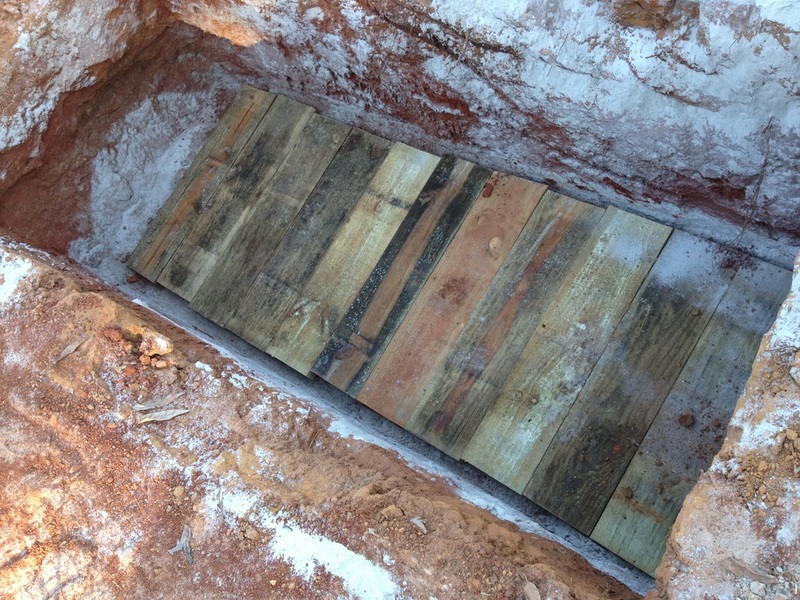 If you require a simple plaque at the grave side, this may be arranged with the Brisbane City Council cemeteries. Please see this link BCC Plaques. 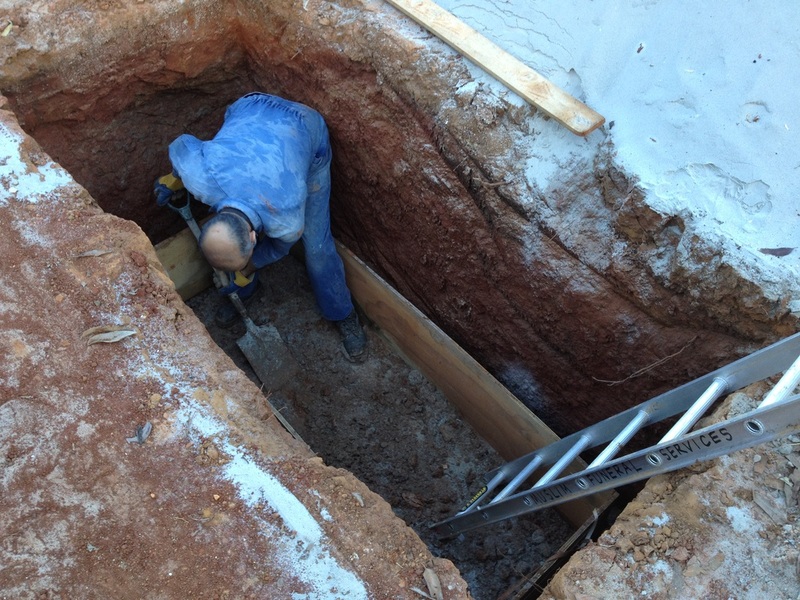 More elaborate tombstones are discouraged in Islam, however if you require this, then more information and details of contractors who may be able to do this, are available. 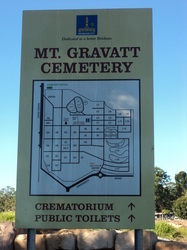 Please contact the Mt Gravatt Cemetery at 3403 7765. For a simple edge to the grave and to make it identifiable, Carlos Ibrahim has offered to provide this service to the family at a nominal fee of $200. Please see below his contact details 0426 959 492, and contact him directly.